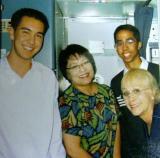 God Bless The Queen of Aloha...Flight Attendant Patti Smart! hits a day.....Thank you for choosing Aloha today! If you want to leave a message for Patti, please write it in the comment section below. at Gate 52. Program to follow after arrival. 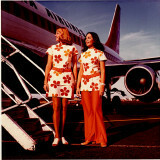 I remember with fond memories being a stewardess with you, Jon, Glen Kanekoa and all the Aloha Crew back in 1969. What fun we all had!! Enjoy your retirement. 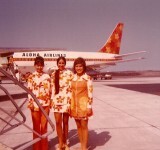 Aloha Airlines will always be flying in our memories & dreams. Aloha! Hey Patty, congs on the retirement. im 25, in banking at the moment, but cant wait to fly. hope to have a long fruitful career like yours! Patti, we send our biggest hugs and love from afar! You are an inspiration, and we hope you are very, very happy in your retirement. The skies will miss you! We know why you're the Queen of Aloha -- Christ's love comes shining through your outstanding heart touching every life that crosses your path. We're thanking God for YOU! hello from the philippines, patti! i'm so happy to have met you, and make you part of my family. my best wishes to you on your retirement and always! see you again & again in honolulu! hugs & kisses from. . .myna(mita's sister) aloha & mabuhay!!! hello from the philippines,patti! i'm so happy to have met you, and make you part of my family. my best wishes to you on your retirement and always! see you again & again in honolulu! hugs & kisses from. . .myna(mita's sister) aloha & mabuhay!! !